Do you ever think to yourself, “There has got to be more to life than this”, “I want more out of life than this” or perhaps you may feel, “I was created to do more in life than this”. The quest for more starts with what you think and what you believe. If you are a woman that has gone through tough times or currently facing life challenges and you are determined to become stronger than your struggles, then this conference is for you. You can’t afford to Miss it! Join us for our 9th Annual Women’s Destined for Greatness Empowerment Conference, on June 15th, 2019 at the Crowne Plaza hotel. Our 2019 theme is, “Unleash the Woman Within”. This conference is designed for women from all walks of life to join in sisterhood to gain insight, inspiration and network with other encouraging women. You will be empowered with the tools and resources needed to take charge of your life and create the future of your dreams. It’s time to Unleash, the Woman Within! To positively impact the lives of our next generation of women, we continue our initiative, Girls Inspired to Shine! We invite a select group of teenage girls to attend (ages 13-18). Our girls are faced with a plethora of challenges, the greatest of which may be making it through her adolescent years with her self-esteem intact. It’s essential for a young girl to develop a sense of who she is and who she desires to be. Our girls will be inspired to a higher level of self-love, self-confidence, and the tools needed to gain a higher level of achievement. Awesome Door prizes, great Entertainment & Lunch will be provided! RESERVE YOUR SEAT TODAY for you and your daughter, sister, mother, friend or another teenage girl. This conference is sure to awaken and refresh your spirit in an amazing way. been named a CMBC “Shero” for her selfless efforts in the church. Committee and Women in NAACP (WIN). She graduated from Lincoln High School in Sumter, attended Morris College in Sumter, got married and traveled with her husband and children for 35 years. She spent 23 of the 35 years in Eagle River/Anchorage Alaska working for the Federal Government. As an employee and later a Supervisor, her goal was to help developed as many young people as she could, and by the leading of the Holy Spirit, she succeeded in doing just that, helping them be employed in the Federal Government. She never forgot where she came from, the beginning as GS-2 sales store checker in the commissary making $7,000.00 a year to becoming a Personnel Officer (GS-14) in Human Resources. It is all about how one share and help others, not being selfish or self-centered. She was an active member in Jehovah Missionary Baptist Church in Sumter prior to marriage. Subsequent to leaving Sumter and traveling, she joined Shiloh Missionary Baptist Church in Anchorage, AK. 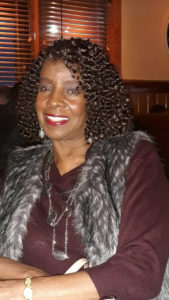 There she developed a closer walk with the Lord and became a devoted and committed leader which she brought back to her Church in Sumter after retirement. Success to her is putting God first, loving others, having a positive attitude and not letting people determine who you are nor your destiny. Dr. Ja’net Bishop is a Transition Strategist/Author in her company, Boots To Breakthrough LLC. She’s an experienced certified School Principal in both a high school and alternative school settings, certified K-12 School Counselor. A native of New York City, she is a former enlisted soldier who later became an Army Reserves and National Guard officer (Captain), having served during Operation Desert Storm. She is a proud Veteran, served as a military spouse, and is the mother of two adult sons – whom are also veterans. Ja’net presents frequently at national, state, and local conferences on manifesting more joy and making the rest of your life the best of your life. 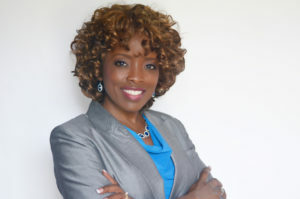 Her work inspires military-connected women (active, veteran, spouses), women’s groups, retreats, churches, community organizations, and social service agencies to enjoy their life’s journey and strive for success through the Dimensions of Wellness. Her life has been one of service and many transitions, which audiences have been able to relate to. Growing up in New York’s housing projects the oldest of 3 children – she was inspired to pursue more and leave the inner city behind her. 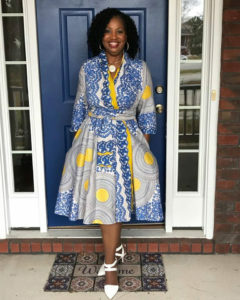 She was the first female in her family to join the military, to start her own business, and to ultimately achieve a doctorate degree from Georgia Southern University as a first-generation college student in her family. Under her leadership, her alternative school has been recognized by the National Alternative Education Association (2013, 2014, and 2015) and the Georgia Association of Alternative Education (2015). She has also distinguished herself as an adjunct professor at Cambridge College. Her community advocacy has served families in the areas of parenting, substance abuse awareness, child abuse prevention, and juvenile court intervention groups. As Founder of “Boots to Breakthrough LLC”, launched in 2018, Dr. Bishop empowers people to transition from military service to civilian success and fulfill their dreams to live their best life. Services are offered through individual/group coaching, presentations, workshops, online training course, and retreats through which individuals may be trained in the topics of “Mission: I Am Possible”; “Breakthrough to 7-Dimensions of Wellness”; and “Workplace Resiliency: Managing Stress and Burnout”. These offerings are customized to also accommodate corporate settings. Dr. Bishop volunteers on several national, state, and local boards which addresses leadership development. 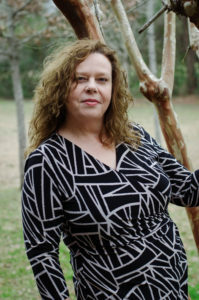 She is an alumni of the Metro Augusta Chamber of Commerce – Leadership Augusta GA. Now living in Summerville SC, she serves as a Commissioner on Mayor (Charleston, SC) John Tecklenberg’s Commission for Homelessness and Affordable Housing; a member of Historic Charleston-ROTARY; and, serves as a Resiliency Facilitator for the America Red Cross in South Carolina. Most recently, she was the keynote speaker for the National Women Veterans of America Convention held in Charleston, SC in November 2018. She is the author of How Much Joy Is In Your Journey? A Creative Guide to Your Fearless Vision. She and her late husband William are the proud parents of two sons, William II and Matthew, whom she considers to be the true blessed accomplishments of her life! Let’s connect! Whitney was born in Summerville, SC and raised in Ridgeville, SC and very much still a country girl at heart. She is the proud single Mom of one daughter, Allison Paige Dagnan. Whitney has always had a very strong passion for helping people and a love for animals from an early age. She is a certified fitness trainer, but has more recently been an accounts payable specialist and office administrator. Whitney is a survivor of child sexual abuse and domestic violence. She gives all the credit to God for carrying her through her trials and shaping her into to the woman she is today. She has been a part of Serenity, a 12-step healing program for women, for more than a decade. Serenity has been a large part of Whitney’s emotional growth and she hopes to start a Serenity program at her new church since moving to Pickens, SC. Whitney has an empathy and understanding for others that has been most valuable within the outreach programs of her church. A former 6-year volunteer at Francis Willis SPCA and 2-year member of the board of directors, Whitney has helped many cats and dogs find their forever homes. She has opened her heart and home to foster not only cats and dogs, but horses as well. Helping the animals with their most emotional and physical ailments is where Whitney is most passionate. Whitney believes serving others in whatever way possible is the path that her Heavenly Father has placed her feet upon. Media Promotions: Company media mentions via radio and TV advertisement. Platinum sponsor will join us for (1) live radio and (1) television interview. Inclusion of your organization’s promotional materials in 300+ promotional event tote bags (items to be turned in NLT Thursday, May 31, 2019). 5- VIP event tickets with lunch included. Media Promotions: Company media mentions via radio and TV advertisement. TV: Lowcountry Live Radio: Magic 107.3 (WMGL) On air radio talk show interview. Sponsorship Acknowledgement during the event. Logo and hyperlinks directly to your company website. You can sponsor women in our community who would like to attend but aren’t in a financial position to register. You can sponsor one, or as many sisters as you choose. We thank you for your generosity!